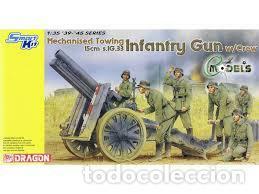 KIT MAQUETA 1/35 15CM SIG 33 INFANTRY GUN WITH CREW. DRAGON 6261. NUEVO. Hora oficial TC: 17:08:47 TR: 175 ms.